Aliette De Bodard has written numerous short stories that I've enjoyed, several of which have been nomianted for or won awards or been included in Year's Best anthologies. 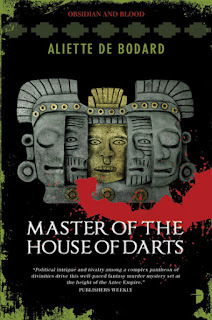 Her Aztec fantasy trilogy Obsidian and Blood concludes with Master of the House of Darts. Q. If you didn't like darts, what House would you be Master of?